Celebrating Teaching Artists in Dance ~ It’s Teacher Appreciation Week and we want to honor you! Join us for a lunchtime event to celebrate and support dancers, dance teachers, and teaching artists in dance. 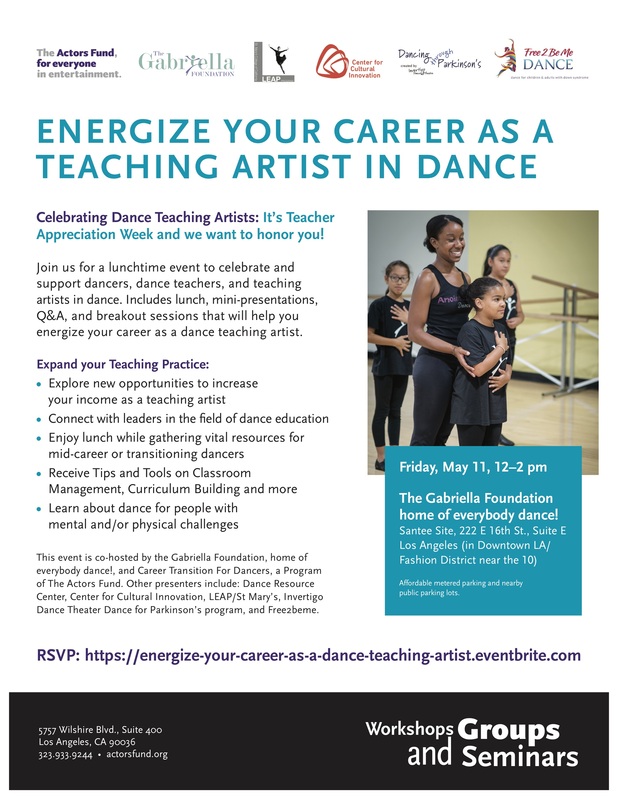 Includes lunch, mini-presentations, Q&A, and breakout sessions that will help you energize your career as a dance teaching artist. See below for more information, and click the image to RSVP!